As promised from yesterday…this will be a short post…I did a pretty big deck repair today..after fixing a poorly installed interior door this morning. This second pic shows the anthropomorphic dude with the big earrings…and manly bits. I joined a couple of groups on Flickr the other day…today I dug through some of the old files to nab some of the old pics I shot that match up with these new groups. 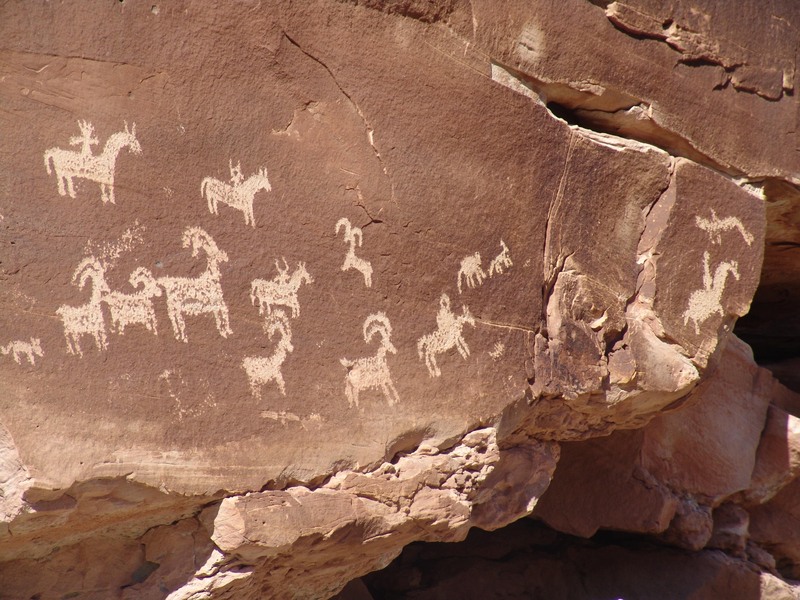 The first group is the Rock Art Group with a bit over 1,000 members, along a similar vein I also joined the Petroglyph Group which has less than 200 members. 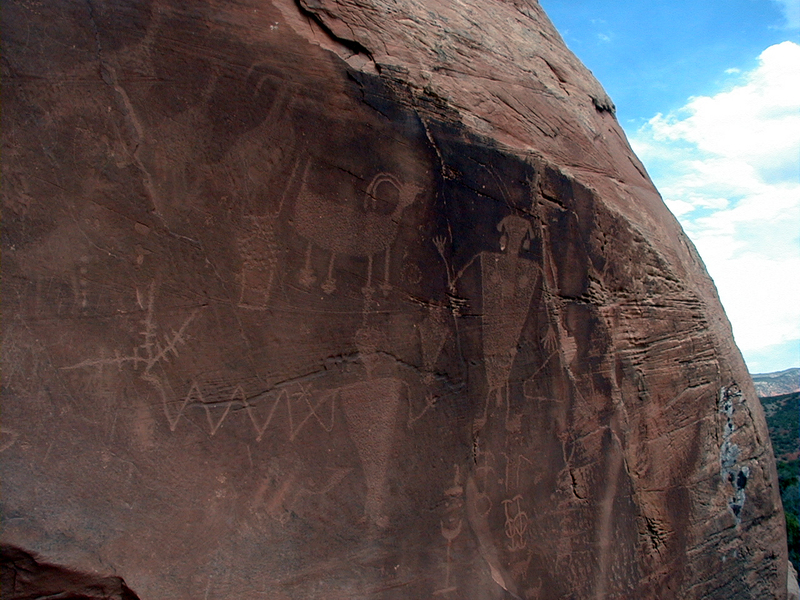 I’ll try to get some of the petroglyph pics posted here tomorrow. 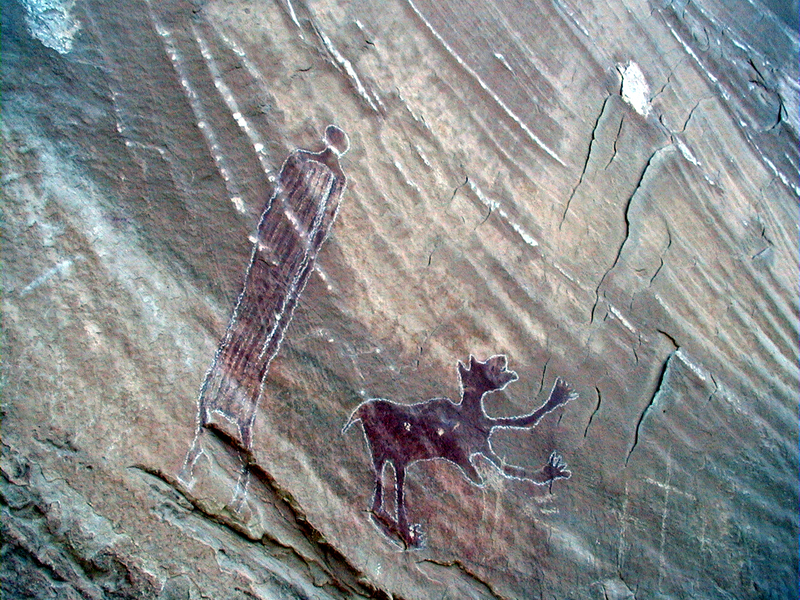 The difference between a pictograph and a petroglyph is pictographs are painted on the rock, while petroglyphs are chiseled into the rock. I have been working over a clients home doing a wide array of projects the last couple of weeks (Painting, floor re-finish, trim etc) Once she picks out the new tile color I’ll install that along with some radiant floor heating in her bathroom. While cleaning out a paintbrush the other day I was informed the the small pedestal sink in the bath was not draining properly. She told me it had been problematic since before christmas…Being the well rounded handy man I thought it might be a simple hairball in the P-trap but after checking that out it, was determined that the problem was further back. Fast forward a bit….the hairball was found but about 12 feet down stream in the weirdo bends of the ancient galvanized steel piping in the crawl space. A few attempts at snaking the line from the bath had my snake going up and out the vent stack. Yes this was visually confirmed. Attempts at opening the rusty clean out in the crawl space resulted in the bloodshed. 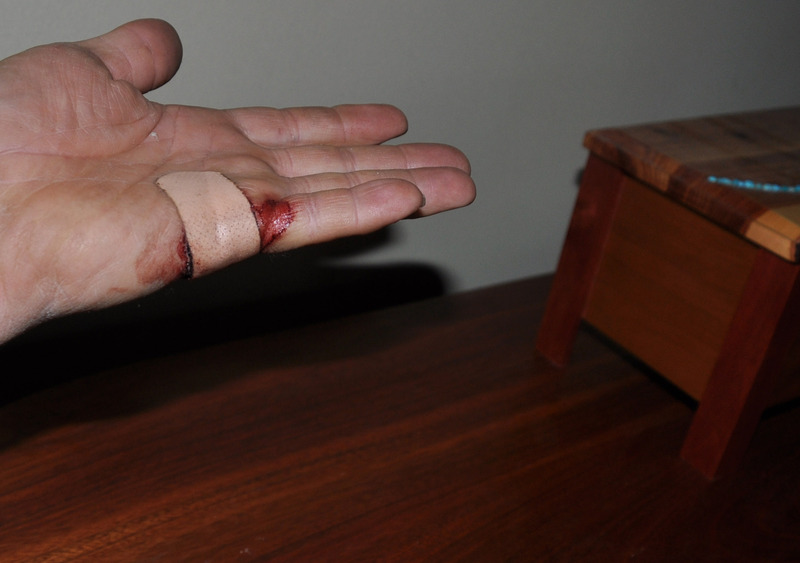 I was tapping the end of the big pipe wrench with a 3 pound sledge hammer and pinched a small piece of skin…It only bleed for a little while and is now nicely cleaned up and re-bandaged. Eventual rain succes was had by snaking down from the roof vent. How do you reduce the IQ of a Boulderite by 100 points? The answer to the title is: Drop 2″ of snow on their heads. I made a run down to the flats yesterday to hit the credit union and pick up some polyurethane for a floor re-finishing gig I’m currently working on. I left Ned with some light snow falling and by the time I reached Boulder it was coming down pretty good. The normal drive from the credit union back to 28th street (about 3 miles) normally takes about 5 or 6 minutes. Yesterday it took an hour and a half….Why you ask? because Boulderites are stupid arrogant idiots in the snow. First of all, a good majority of the vehicles are not snow friendly. Us mountain folk know that 4 wd is a necessity to life. The second major problem is Boulderites think the world revolves around them and they deserve special treatment, Like the right to enter an intersection even though it is over filled…Sane and competent drivers realize that a green light is good provided there is room for you to proceed. Every single intersection was completed jammed with grid-lock in both directions. I would stop at a green light knowing that the only reason to proceed would be if a space opened up on the other side of the intersection…common sense to me.. but well beyond the grasp of the thousand of morons about me….typical Boulder idiots! Once I hit the mouth of the canyon, the road was still just a slick and snowy but I made the 17 miles to Ned in half the time it took to go three stinking miles in Boulder. 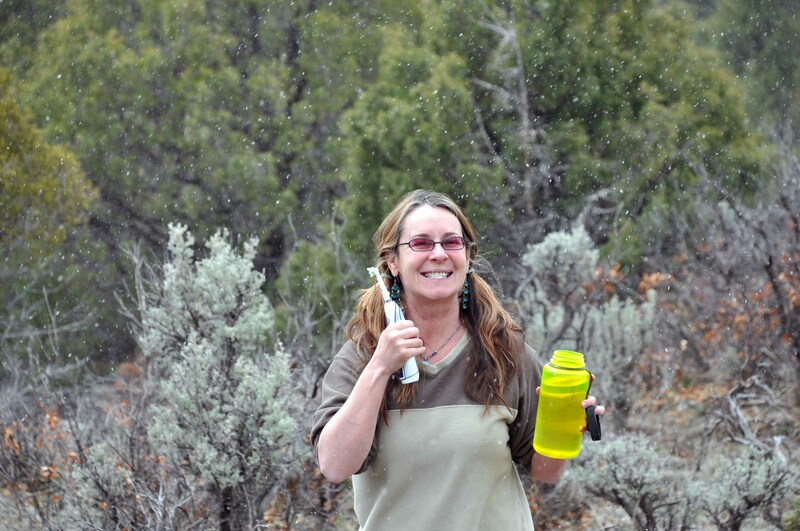 Emily, over at the Little house on the southern prairie site is hosting a book giveaway this week. Stop by and take a visit..
I’m promoting this even though it will diminish my chances of winning…oh well, its for a good cause. 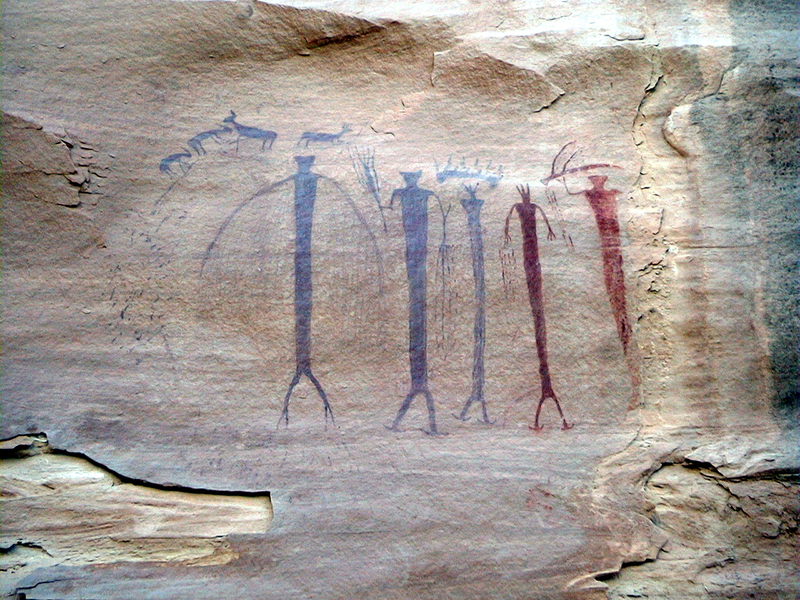 In 2010, there were 72 new posts, growing the total archive of this blog to 88 posts. There were 137 pictures uploaded, taking up a total of 114mb. That’s about 3 pictures per week. The busiest day of the year was June 5th with 351 views. The most popular post that day was Spring Road Trip Day #1. The top referring sites in 2010 were tinyhouseblog.com, small-cabin.com, whenshtf.com, timescapes.org, and tinyhouseliving.com. Some visitors came searching, mostly for earthship floor plans, z brick, milky way, earthship plans, and earth sheltered homes. We rang in the new year asleep in our beds…after all is was pretty chilly out. We went to bed a bit before 9, Tori was out quickly but I stayed up to read some. As we turned in I checked the temp outside, it was -15 f. The wood stove had been running all day and was doing a good job of keeping up with the cold. Mr W was elsewhere so it was pretty still, about 2 am I added some more wood to the fire and read some more. I awoke to the sound of the furnace, it had kicked in to maintain our 58 degree baseline setting. When we woke is was about -12 to -13. The winds have picked up a bit this morning so the chill factor is well below this. A good day to stay inside, I hope to slow roast some pork shoulder today, BBQ is a good mix with lazy Saturdays. 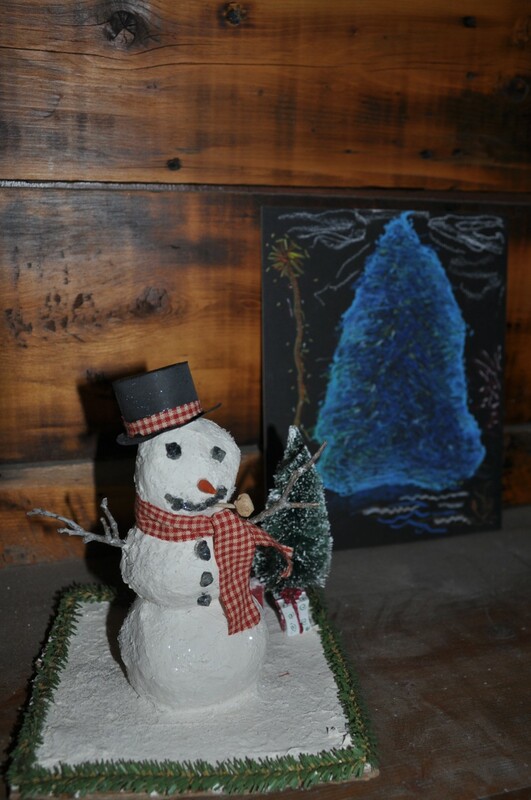 Before Christmas we mixed up a batch of the paper mache clay and worked up some sculptures, snow men seemed appropriate. These were made to test the mix. Tori will be using this new media on the next fairy house project. For our snowmen, I was the only one to build a 3 ball body. The girls and Tori made 2 ball snowmen…to me they don’t look right. I dressed mine up with a top hat and a corn cob pipe, he is pictured above in front of the “blue tree” art from a few years ago. 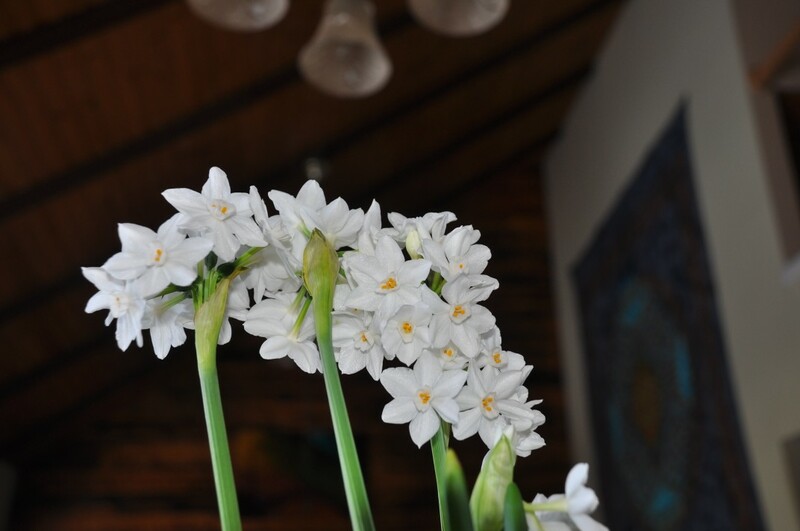 To help dissipate the winter blues we started some “Paper White” bulbs a few weeks ago and they are about peaked for scent and blossoms. We are gifted with a whiff now and then and are going to see if we can get some more before these fade away. Our plan to spend time at the cabin for new years waned after having guests for Christmas…quiet time at home won over the 12 hour round trip drive. Adding to that choice was the fact that the lumber mill was closed the week before Christmas so I could not pick up some more T&G for the cabin…perhaps I’ll get some later this month…get is sanded and oiled and make a trip down there later this month or sometime next month.